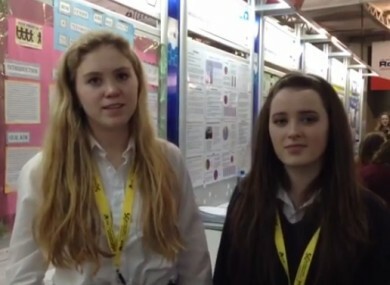 The project was part of the BT Young Scientist and Technology Exhibition in the RDS this week. HAS TEENAGERS’ AWARENESS of obesity increased due to media attention? That’s what Grace Purcell and Ciara Galway, from Presentation Secondary School in Kilkenny, aimed to discover with their project for the BT Young Scientist and Technology Exhibition. They analysed advertisements and TV programmes, and carried out surveys among secondary school students to discover the answer. Email “Teens discover whether obesity awareness affects young people's food choices”. Feedback on “Teens discover whether obesity awareness affects young people's food choices”.